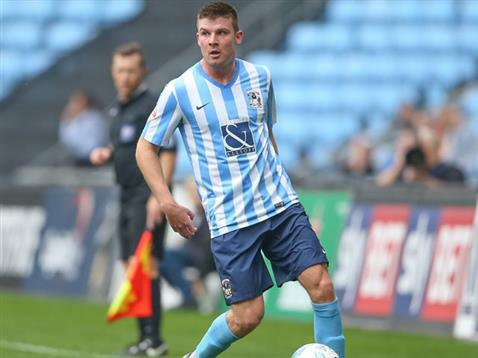 Coventry City Football Club have confirmed they are to hold an internal investigation following a tweet containing a homophobic remark sent out by defender Chris Stokes last night. 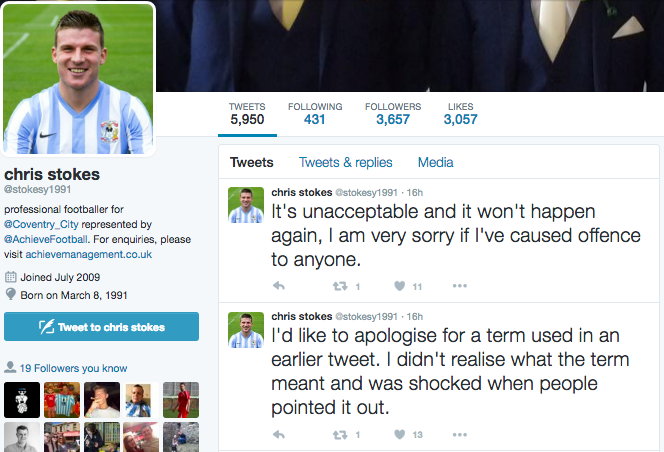 Stokes quickly deleted the tweet and apologised for the remark, but will now face action from the Club. Stokes said: “I’d like to apologise for any offence I’ve caused. “It was a brainless moment from me and I’m really disappointed in myself for using that term. I’m not homophobic at all. “The club will have an internal investigation into Chris Stokes’ behaviour on social media and his use of the term. The club would like to stress that it is completely unacceptable for any of our players or staff to express such remarks at any time. “Coventry City FC expect the highest level of professionalism from our players as we’re a family club and we want our players to act as role models in the Coventry and Warwickshire community.